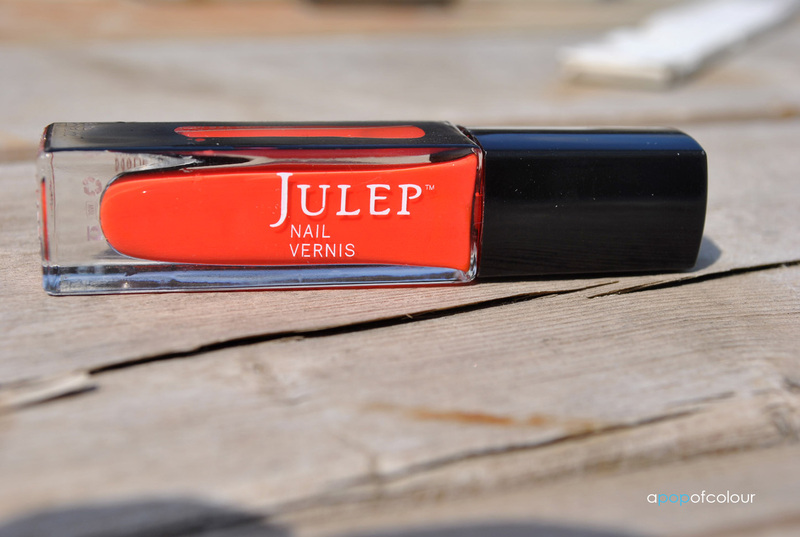 So I finally got around to wearing Julep’s Natasha that I got in my Julep Maven Bombshell box from March (too many nail polishes, so little time). The colour, to me, is like a tomato red shade. 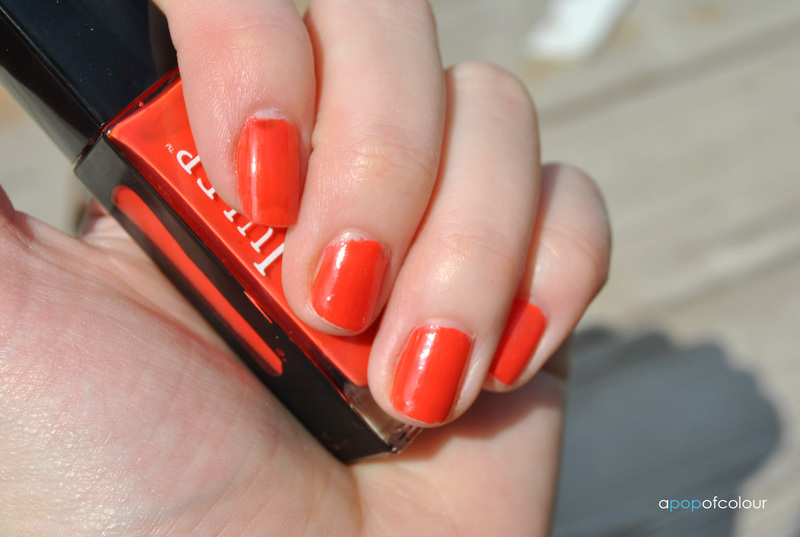 It’s not a true red, but a little more vibrant with orange undertones. To be honest, after trying Julep’s Sofia, a green shade with microglitter, I was expecting my thoughts to be the same with this one. I was very let down by the colour applied on, the final outcome, and the sheerness of the shade. Thankfully, Natasha and Sofia are way different. 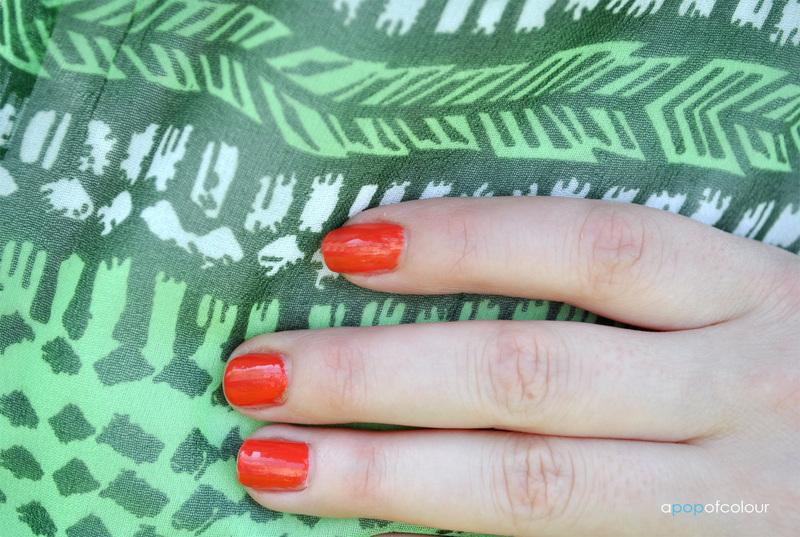 Although the colour isn’t my favourite, it applies really nicely and is opaque after two coats. The best part? It’s super shiny. This is definitely the glossiest nail polish I own. I have a few other colours similar to this one so this shade isn’t anything that blew me away. It’s really pretty for spring and summer and if you don’t have anything similar, I would pick this up. The colour also lasted about three days before some minor chipping. 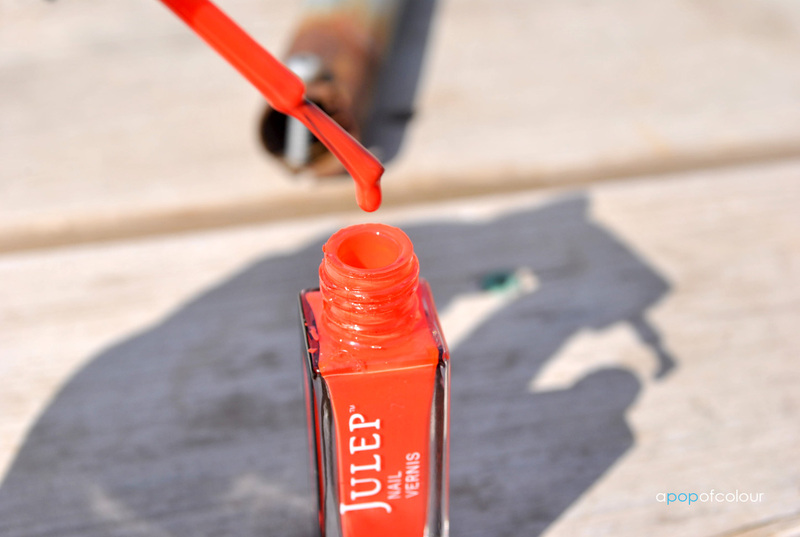 Have you tried Julep’s Natasha? What are your thoughts?